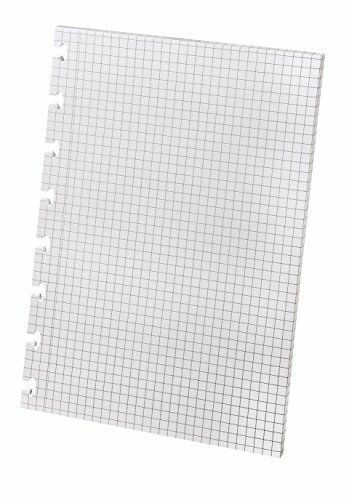 Ampad® VersaTM Graph Paper is specially punched for use with the Ampad® VersaTM Crossover Notebook Premium. Unlike a traditionally-bound notebook, the exclusive disc design gives you the freedom to rearrange your notebook - add, remove, and rearrange pages as you need! In this refill pack, you get 40 5-1/2" x 8-1/2" sheets that are quad ruled, 4 squares per inch, and microperforated. Made of premium, 24 lb. white paper, these sheets are ruled on both sides, making them ideal for lab notes and other technical applications. 24 PK/CT.